If you are ineligible for Medicare and do not have any financial income, our Health Service team can assist you with your general health care. Our services include health care assessments, medical and oral health consultations, torture and trauma counselling, physiotherapy, referrals, education and advocacy. All of these services are supplied pro bono by our broad network of health care providers. We can advocate for fee-waivers for specialist consultations and emergency treatment at public hospitals. Any information you give to our Health Service team is confidential. This means that we will not pass on your personal information to any other person or organisation without your prior consent (unless we believe there is a serious risk to your safety or somebody else’s safety). 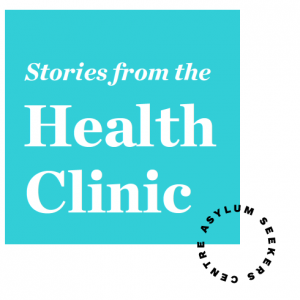 To make an appointment, telephone the Health Service team at the Asylum Seekers Centre on (02) 9078 1900, or send us an email. For medical emergencies, go to the Emergency Department of your nearest public hospital, or call 000 for an ambulance if you cannot get there on your own.